Not much in the way of art to report. We did get the news that we are moving out of the studio at the end of April. It has been a real good time being a part of the Local 303. There is already someone lined up to move in, so no need to try and contact me or the other guys to get the spot. There will be one more Open Studio party and I think it will be a blowout so keep an eye out for that. Thanks to everyone who came by over the years and I will let you know if there will be any future 303 activity. My work will still be available at Artist Xchange and from my Etsy store. Me and fellow 303 artist Matt Delight started a blog and podcast. 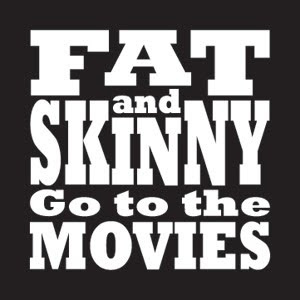 "Fat and Skinny Go to the Movies" will be our outlet for talking about movies. Both of us are die hard movie nuts and thought it could be a lot of fun, and we were right. The first episode is already up on the blog and on iTunes. Oh yeah. The auction I talked about in my last post is coming up, and there is some amazing work. There is a blog where you can check it and get more info on "Brownstones to Red Dirt".